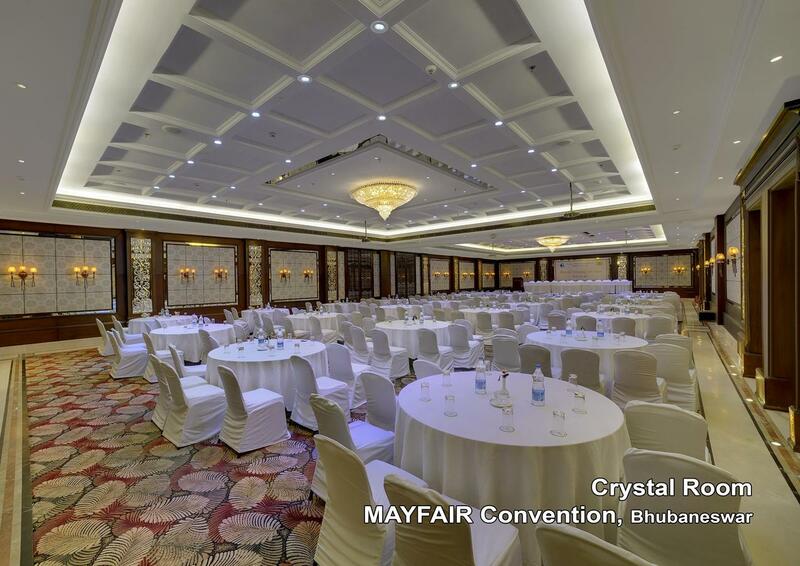 MAYFAIR Convention has comprehensive state-of-the-art facilities for conducting Board meetings, AGMs, Corporate get-togethers, Conferences or social functions. The Banquet halls can be modified to suit your specific needs to accommodate 30 to 1100 guests. The halls are decorated with modern lighting arrangements and are acoustically designed. Equipped with multi-screen audio-visual systems, the decor is contemporary to suit the cultivated taste of the modern corporate houses. Bar, Room Service, Swimming Pool, Safe Deposit Box-Front Desk, Gym, Doctor on Call, Currency Exchange, Health Club, Disabled Facilities, Elevator/Lift. Child Care, Slippers, House Keeping, Smoking Rooms, Safe Deposit Locker Facility, Shower Caps, Air Conditioning Room, Internet Access, Reading Lamps, Bottled Water in Room. User reviews for "Mayfair Convention Hotel Bhubaneswar"